Now Reading: Ayurveda for hair- straight from your garden! Ayurveda for hair- straight from your garden! Are you looking for ways to go natural and chemical-free for your hair? Time to dig out your green thumb and get on to the home gardening trend! From the common Aloe vera to the more exotic Pippali, there are many Ayurvedic hair-loving herbs that you can actually easily grow in your own garden. The best thing about it? You don’t need to be an expert. All you need are some pots and pans, a spot that gets some good sunlight, and the willingness to get your hands dirty. Before long, you’ll have some of the best ingredients for your hair care blossoming fresh in your own home! 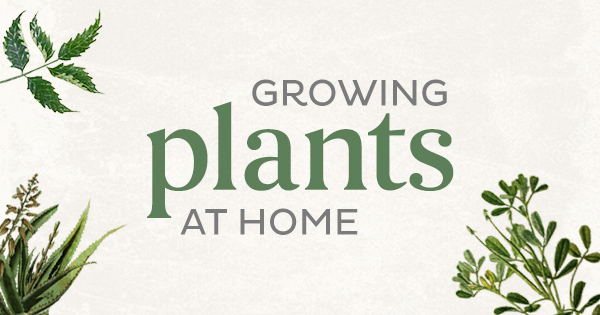 So this weekend, instead of binge-watching another TV show, take a trip to your local nursery. An endless supply of natural goodness and gorgeous, healthy hair is just a few steps away. Don’t let looks deceive you. It may look like a common weed, but among its many magical properties, Bhringraj is said to help prevent premature greying and baldness, and also acts as a good conditioner. Marvellously low-maintenance, Bhringraj grows well in warm conditions. All it needs is plenty of moisture, some sun, and loamy soil with natural manure to get it going. You could also juice them to be infused with your regular hair oil. Just take 4 cups of juice, 4 cups of coconut oil, 16 parts of water, and then boil the mixture on a low flame till the water completely evaporates. Apply as usual. A familiar face from the kitchen, Methi helps with everything from hair growth to treating allergies, as well as bestowing hair with its cooling and conditioning properties. Methi is one of the easiest plants to grow. Plant the seeds, and water them regularly. In just two weeks, you can get a handful of the leaves, which, along with the seeds have multiple uses. Mix 2 tablespoons of the seeds with your hair oil overnight. The resulting infusion will give your hair oil a conditioning boost. You could even use it as an added ingredient in any other homemade hair pack. Disclaimer: The plant has cooling properties, so those with sinus issues should be wary. Another familiar ingredient, curry leaves are also a popular add-on in hair oils and hair packs to counter-act premature greying, treat dandruff, and even arrest hair fall. There are three varieties of the Curry Leaf Tree. So make sure you get the one that’s shorter, and therefore best suited for growing at home. Remember to keep increasing the size of your pots as the plant grows. Mix a quarter cup of curry leaves in a cup of coconut oil. Heat it on a slow flame for about 15 minutes. The oil is now ready to use on your hair. Also known as Giloy or Guduchi, the juice of the plant is good for blood purification and detoxification. This, in turn, ensures a healthy, glossy mane, and also clears up the skin. This vine grows quickly and needs to be watered every day. Like the common money plant, make sure to plant it by a wall or to add a wooden support to the pot once it grows a little bit, so that the creeper can keep growing. Throw the leaves and stems into the mixer to extract the juice. Drink it plain or mix it with neem, haldi and amla to make a wholesome detox smoothie. You could also dry it and crush it to make a powder. Mix with amla powder and honey for a potent hair fall-arresting hair pack. How often have we heard the older members of the family swear by Neem and its healing properties? They’re not wrong. With its antiseptic, antifungal and anti-inflammatory properties, Neem is a powerhouse plant that prevents dandruff and keeps the scalp healthy. This plant takes a little more care than most others. One of the most common mistakes is over-watering. Before watering each time, make sure that the soil is dry. Infuse the leaves and seeds with your regular hair oil to treat dandruff, lice and scalp irritation. Mix a quarter cup of Neem leaves in a cup of coconut oil. You could also combine it with apple cider vinegar to make a growth-promoting wash. Hair fall is often caused by an excess of Pitta Dosha. Aloe Vera helps counteract this through its cooling, soothing nature. It also works as an easy conditioner. This spiky plant is quite the celebrity around the world for its sticky, inner gel and its properties. The soil needs to be well drained, so that the plant isn’t in standing water for too long. Mix 3 spoons of freshly squeezed gel with 3 tablespoons of coconut oil. Apply the mixture onto your scalp and leave it for up to two hours. You could also boil the juice of the leaves and combine it with haldi to make a mixture for treating dandruff. Most Indian homes have a place set for Tulsi due to its religious significance. But did you know it’s quite the hair charmer too? It has a cooling effect on your scalp, controls itchiness and dandruff, strengthens your hair, improves blood circulation to the scalp and as a result gives you healthy, shiny hair. Pretty great, right? Sow the seeds in 1/4th inch layer of soil, and place them where they can soak up at least 4 hours of morning sun. You should see it sprout in around 1-2 weeks. Make sure you prune it regularly and remove the flower buds to get a fuller growth. Make a paste of about 12-15 Tulsi leaves. Mix them with coconut oil and heat on a low flame. Let it cool, and store in a glass container. You could also simply eat a Tulsi leaf every day to get its benefits from within. This pungent plant is known for its digestive and detoxifying factors, and is also said to promote hair growth. A delicate creeper with a peppery tasting fruit, it’s used in treatments usually before it ripens. A tropical plant, it needs shade and water to flourish. Take two handfuls of neem leaves and 15 pepper-corns. Wash thoroughly and add into five cups of hot water. Allow to steep overnight and the next day, pass the liquid through the strainer . Use the liquid to rinse out your hair the next day after mild shampooing. Grind the soaked leaves and peppers into a paste . Add a tablespoon of coconut oil and apply this to your scalp; leave it on for about 30 minutes.